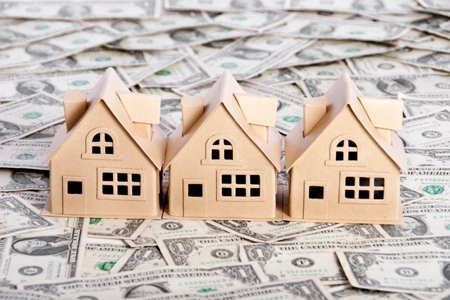 Signaling growing confidence in the housing recovery, a majority of Americans once again named real estate the best long-term investment—a trend now continued for two consecutive years, according to a recently released Gallup poll. Real estate edged out long-term investment options like stocks/mutual funds, gold, savings accounts/CDs and bonds, with 31 percent of Americans favoring housing for long-term gains. 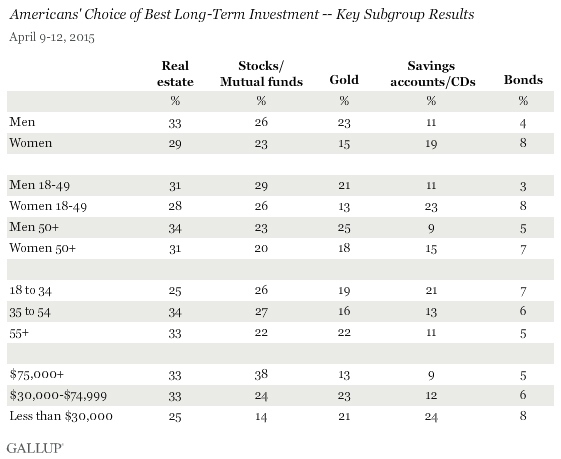 Twenty-five percent of Americans named stocks/mutual funds as the best investment long-term. Gold dropped from frontrunner in 2011 and 2012 to third, while savings accounts/CDs fell to 15 percent. Bonds dipped to just six percent. The findings represent a significant change in consumer sentiment akin to the ongoing recovery. Notably, more Americans preferred savings accounts/CDs in 2012, as financial security remained critical for many in the wake of the crash. Moreover, all major gender, age and income groups topped or tied the preference for real estate, coinciding with a number of recent initiatives set to increase opportunities for a diverse range of would-be buyers. These include the Fannie- and Freddie-backed three percent down payment program and the reassessment of credit strictures that have historically prevented borrowers from obtaining a mortgage. Between July 2002 and April 2007, preferences for real estate fluctuated with the market, peaking at 50 percent during the boom and sinking to 37 percent as the economy nosedived. Preferences for real estate continued to fall through 2008 and 2009. The Gallup poll was conducted April 9-12, 2015 from a random sample of 1,015 adults aged 18 and older living in all 50 U.S. states and the District of Columbia. For a complete look at responses, questions and trends, click here.